Find the answer to all of your questions. What do the symbols on the KSI crest represent? Infinity: The lemniscate symbolizes our endless desire for exploration. Knowledge: The open book represents our endless quest for knowledge. Intellect: The gear working together symbolizes the benefit for intellect. Wisdom: Kepler’s Laws of Planetary Motion, a prime example of Kepler’s wisdom. Diversity: The multicoloured band, encircling the planet symbolizes the unity of our diverse student culture. What research areas does KSI focus on? We are committed to understanding and solving the challenges that face our society today, to enable a brighter future for all. We currently focusing areas in- Ethics, Medical, Society, Government, Science, and Engineering. Subscribe to our newsletter and stay up to date on all of our upcoming developments, interesting posts, books, latest news and much more! I am a researcher, how can I get involved? 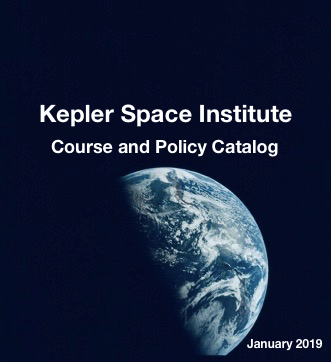 KSI is recruiting exceptional people with a university education in science, engineering, or medicine and extensive knowledge and experience through the Kepler Scholars Program. We want individuals who can bring a meaningful contribution to the expansion of human civilization from Earth to space. Register Today! Where can I find the latest issues? The latest issue is featured in the Journal of Space Philosophy tab on the Main Menu. All past issues can also be listed on the JSP archive page. View Archive. Can I subscribe to the Journal of Space Philosophy? You can subscribe directly to the JSP by using the Journal of Space Philosophy menu item listed on the Main Menu. Subscribers will give access to the latest issues, new articles, and exclusive content! Subscribe Today! How can I contribute to the next issue? We are always looking for great content to share with our readers. Submit an article directly on our website and our editors will be in touch. Thank you for your interest! I am a professional and am interested in joining the Board of Editors, how can I get involved? The Board of Editors consists of a hi-caliber group of leading-edge thinkers and supercharged individuals, providing a supportive and synergistic environment for collaboration. Qualified professionals should sign up by through our portal or contacting us directly.